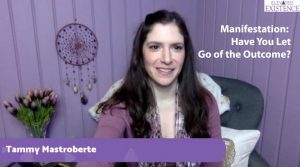 VIDEO: Manifestation: Have You Let Go of the Outcome? When we hear about manifestation and the law of attraction, we often hear about “detaching” and “letting go” of the outcome. But how do you desire and want something, and also let go of it at the same time? And how do you know if you actually HAVE let go of the outcome, or if you are still creating resistance and blocking the desire from flowing into your life? That is what I tackle in this week’s video! I go LIVE on Facebook every Tuesday at 1 p.m. Eastern to create these videos. Join me and be notified when I go LIVE here! Subscribe to the YouTube channel for more here!